The textbook used in our Online Home Study Celestial Navigation Course. The book includes: text, practice problems, tables selections, detailed glossary, and full solutions. Printable work forms, plotting sheets, and other resources are available at no charge from the support link above www.starpath.com/celnavbook. "The common method of averaging sights is the Fit-Slope Method, e.g. 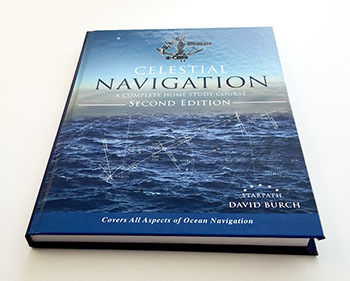 Burch, D. 2015, Celestial Navigation, Second Edition (Seattle, Starpath Publications) pp. 176-177." �Bowditch, American Practical Navigator, NGA Pub 9. Section 1805.